When we think of voodoo, it automatically conjures up images of voodoo dolls and curses. But it’s important to understand that we’ve been conditioned to think that way by a dominant European-Christian ideology. The history of voodoo dates all the way back to ancient Africa. But like many other African traditions, it’s been stripped away from black people and turned into something ominous. “Voodoo” is derived from the word “vudu” which comes from the Fon language of Dahomey. It means, “spirit god.” Dahomey was a kingdom in Africa that existed from 1600-1894. It is now known as Benin. During the slave trade of the 17th century, people were forcibly taken from Dahomey and brought to Haiti to work on plantations. But the Dahomey people brought more than just their physical bodies; they carried with them the traditions, teachings, and religious beliefs of their culture. They brought with them the ancient practice of voodoo. However, Christian slave owners didn’t like the practice very much. In fact, most slaves were forced to convert to Christianity. It even got to the point where masters strictly forbid the practice of voodoo, and any slave who was caught taking part in it was severely beaten. This resulted in cultural genocide. The deliberate erasing of an entire culture was just another form of manipulation and control. But in order to ensure the complete destruction of voodoo, Christians began attributing negative attributes to it. “Witch craft,” “sorcery,” and “black magic” were just some of the terms that masters assigned to the practice. The tactic worked well, and many people began to associate voodoo with being demonic. But that’s not true. 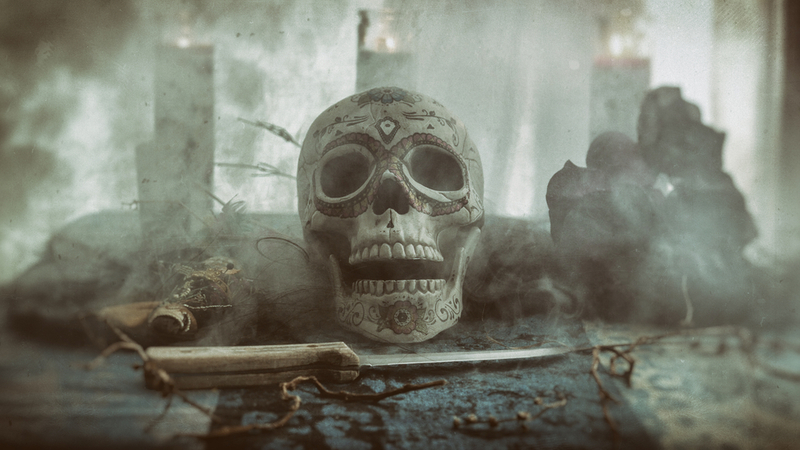 The original practice of voodoo was used to bring about health, prosperity, and success. Voodoo followers would summon spirits in the hopes of attaining special knowledge and blessings. It’s funny because gaining knowledge and blessings by worshiping an omniscient being doesn’t sound too much different than Christianity. But Christians took issue with voodoo rituals and falsely misinterpreted them as being Satanic. The truth is, voodoo is an overwhelmingly positive religion. Yes, it has evolved over the years and yes, there are people who try and use it for evil purposes. But it’s important to understand that the prevailing stereotypes are not only false, but were created for the sole purpose of erasing an entire culture.